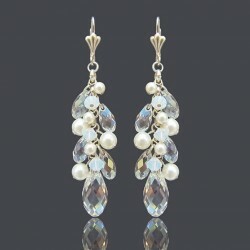 Crystal Pearl cluster earrings, fine jewel made of silver plated elements and Swarovski pearls and crystals drops. 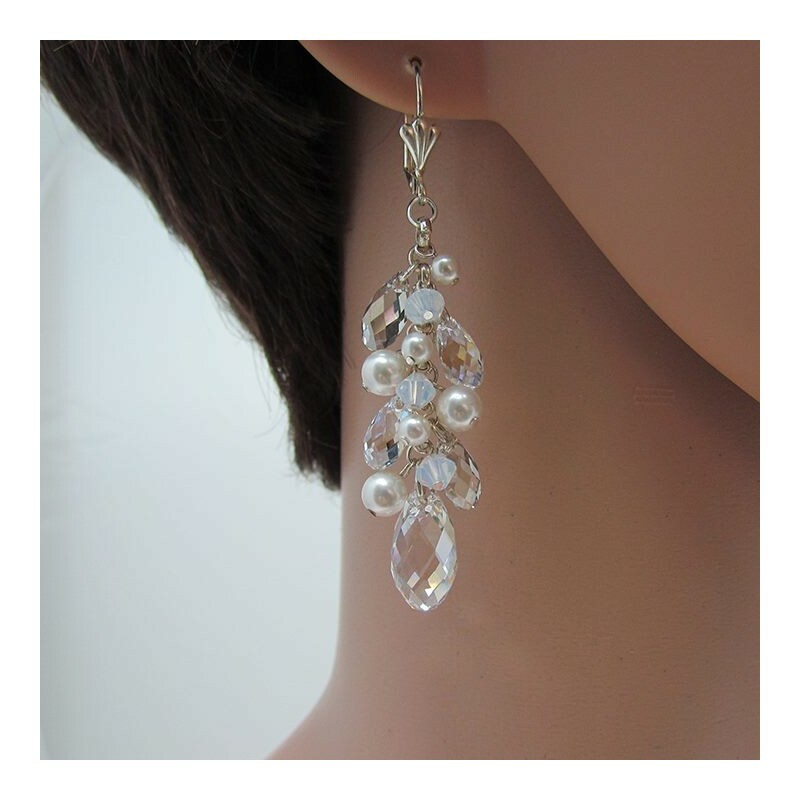 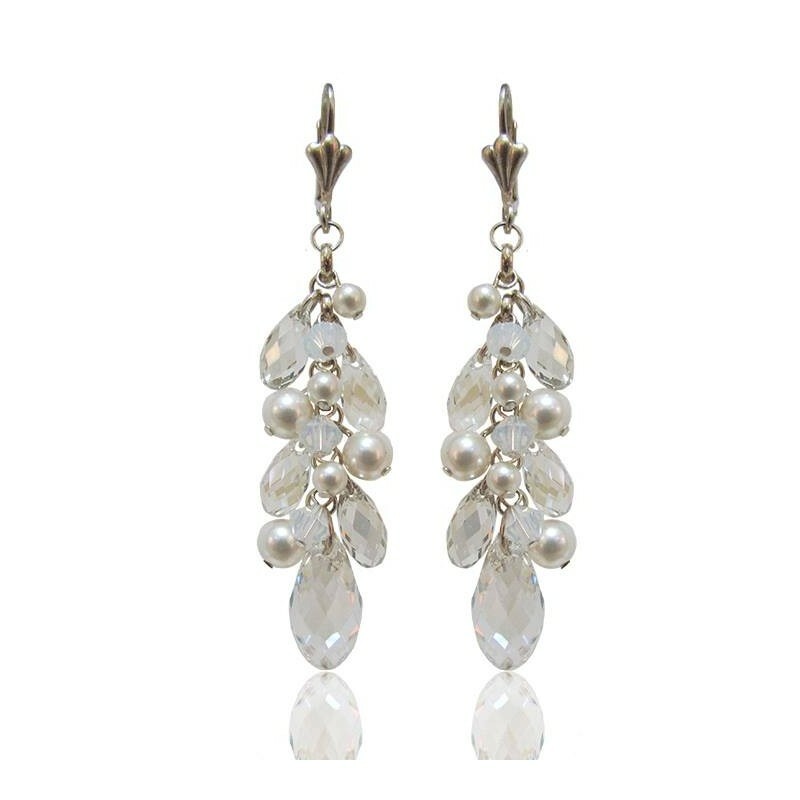 Crystal Pearl cluster earrings Length: 1.9" / 5 cm approx. 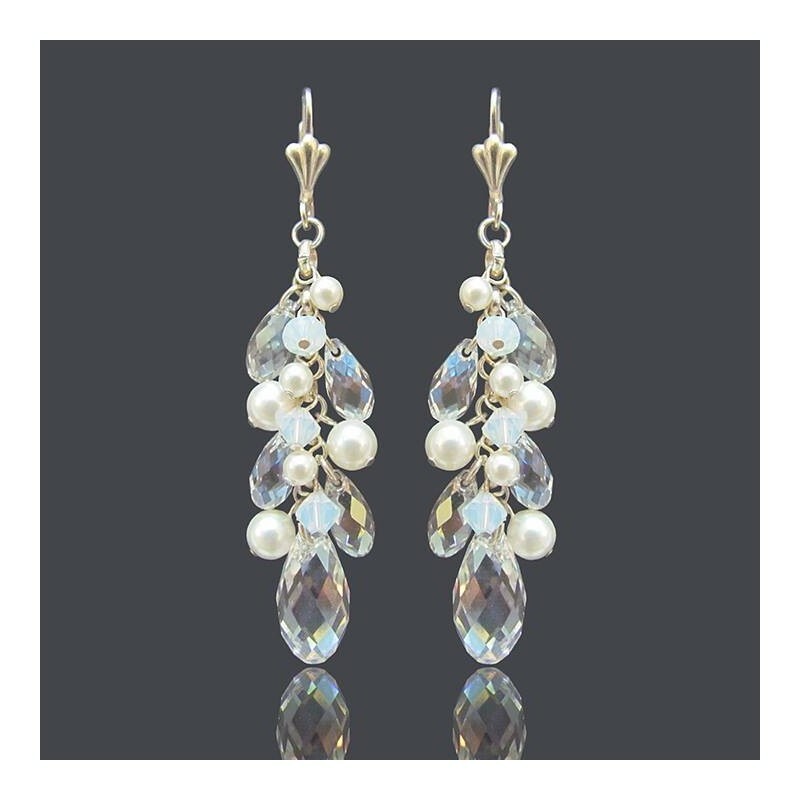 Crystal Pearl cluster earrings, perfect for your special wedding day, bridesmaid gift or mother of the bride or the groom.